Most techies probably remember 1995 as being the year that Microsoft released Windows 95; a complete reimagining of the Windows operating system. In that same year, however, Microsoft released another memorable piece of software — Microsoft Bob. For those who weren’t working with Windows in 1995, or who might not remember, Microsoft Bob was an alternative user interface that was designed to make Windows easier to use. However, Microsoft’s efforts completely backfired. 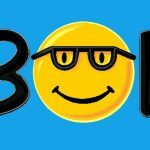 According to Wikipedia, PC World listed Microsoft Bob among the 25 worst tech products of all time, and CNET proclaimed Bob to be the worst product of the entire decade. Even today, Microsoft Bob remains something of a punchline among long time techies. The funny thing is, Bob never completely went away. Certain elements from Microsoft Bob made their way into Microsoft Office, and there are rumors that some of the code from Microsoft Bob was used to fill the extra space on the Windows XP installation CD. The most surprising thing about Microsoft Bob’s legacy, however, is that even though Microsoft pulled the plug on Bob in 1996, it seems that Bob is making a comeback. No, Microsoft has not announced Bob 2.0, but I think that Microsoft has recently reintroduced us to Bob, but without actually using Bob’s name. Before I can explain the second coming of Bob, I need to take a moment and explain the philosophy behind the original Microsoft Bob. Microsoft Bob was an attempt to make Windows easier for beginners to use. Rather than requiring users to navigate menus and click icons, Bob provided an interface that was intended to make the experience of using a computer more relatable, by mapping common functions to things that we all do in everyday life. The Microsoft Bob user interface was a graphical representation of a house. 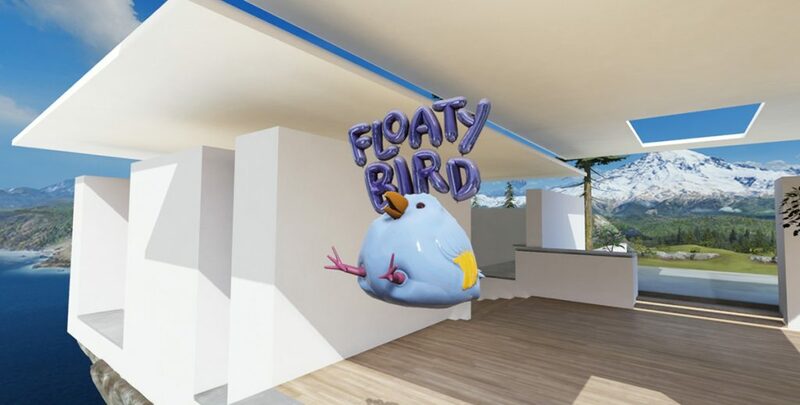 Users could move from room to room within the virtual house and interact with various objects by clicking on them. For example, a user who wants to write a letter might click on the pen and paper that is sitting on a desk. This opens up a lightweight letter writer. Similarly, clicking on a calendar that is hanging on one of the walls brings up the user’s calendar. Even the login process is interwoven into Bob’s house. Knocking on the front door initiated a login request, and the user was prompted for a password. If the user entered the correct password, then they were let into the house. I may be the first person in history to say this, but I thought that Microsoft Bob was actually a pretty good idea. No, I did not use Microsoft Bob myself, but I think that the basic premise behind it was solid. Microsoft Bob was an attempt at making it easy for a total novice to use a computer by making the various functions relatable to something that is familiar to the person. So let’s fast forward about 23 years. In the fall of 2017, Microsoft released a Creators Update for Windows 10. Arguably the most significant new feature in this update was Windows Mixed Reality. Although the people at Microsoft seem to take issue with the term, mixed reality is essentially operating system level, native virtual reality capabilities. To use Windows Mixed Reality, you have to have a mixed reality headset, a PC that meets the minimum system requirements for using the mixed reality feature, and optionally, a couple of hand controllers. VR glasses are nothing new to the Windows operating system. Vuzix, for example, has sold Windows VR glasses for what seems like forever. Even so, the Windows Mixed Reality experience is quite a bit different from earlier VR products. Roughly about 10 years ago, I had a pair of Vuzix iWear glasses. When I would plug them into a PC, the Windows desktop would be rendered on two tiny screens at a resolution of 640x480 per screen. It was actually possible (although completely impractical) to navigate the operating system while wearing the glasses. A couple of weeks ago, I acquired the Samsung HMD Odyssey mixed reality headset for Windows. Unlike my old Vuzix headset, the mixed reality headset does not simply mirror the Windows desktop. The headset only comes alive when you put the Windows operating system into mixed reality mode. However, this is where things get a little bit weird. Mixed reality mode does not display the Windows desktop. Instead, it uses an interface called Microsoft Cliff House. The very first time that I used Cliff House, my first impression was that Microsoft had revamped Microsoft Bob by removing the virtual assistants, updating the graphics, and making it a lot less patronizing. As you can see in this YouTube video, the similarities between Cliff House and Bob are uncanny. As was the case with Microsoft Bob, Cliff House allows you to virtually move from room to room, and launch applications by interacting with virtual objects. In my own Cliff House environment for example, there is a Mars globe sitting on a desk, and clicking on this globe launches the Hello Mars app. The thing that makes Cliff House so cool is that it is completely customizable. You can place holograms and applications in strategic places within the virtual house. The most commonly used holograms in Cliff House tend to be furniture and decorative items, but there are countless other options. The first time that I tried out the Hologram feature, for example, I ended up with a lizard that was riding a bicycle through the living room. Although this type of customization might seem like a radical departure from Microsoft Bob, it really isn’t. Microsoft Bob was also customizable. For example, users had the option of adding furniture to certain rooms in the Bob house. Another striking similarity between Cliff House and Microsoft Bob is the use of virtual assistants. Microsoft Bob featured a cartoon dog who would guide users through various tasks. The dog was very similar to Clippy, of Microsoft Office fame. Thankfully, Cliff House users aren’t pestered by a holographic incarnation of Clippy that follows them from room to room. However, Cortana is always ready to assist users with anything that they might need. The difference, of course, is that rather than being an intrusive animated presence, Cortana remains hidden from view unless called upon. After having spent decades working in the technology sector, I have noticed that tech trends seem to follow cyclical patterns. Although the technology itself improves with time, tech trends inevitably fall out of vogue and are then later revisited as if they are brand-new ideas. I have seen countless examples of this happening, and yet I never thought that Microsoft Bob would end up being a part of the technology cycle. Ultimately, it seems that Microsoft has learned from the mistakes that it made with Microsoft Bob. The basic concept of Microsoft Bob was a good idea, but the idea was poorly implemented. Rather than being helpful, the Bob interface was largely regarded as annoying. In spite of all of its flaws, Microsoft Bob was ahead of its time. Microsoft Bob may have been the first attempt at a spatial operating system interface, which is something that we are only just beginning to see today. Back in the 1990s, Bill Gates used to talk about his desire to develop natural interfaces for the PC. Today, we can interact with our PCs using a variety of natural interfaces including touch, speech, handwriting, and even gesture control. Even so, the normal Windows desktop interface remains a two dimensional. Mixed reality takes Windows into the third dimension and allows for much more natural interaction with the operating system. Home » Articles » What about (Microsoft) Bob?